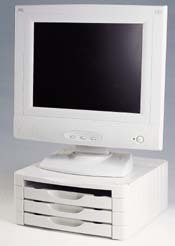 Lifts the monitor up to 10cm height. With one paper drawer. 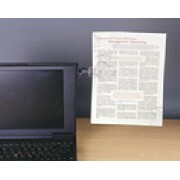 Lifts the monitor up to 6.7cm height. With two paper drawer. 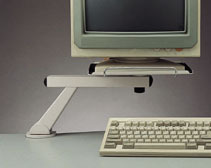 Lifts the monitor up to 10cm height. With three paper drawer. 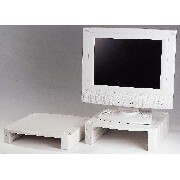 Lifts the monitor up to 13cm height. Creates your desktop space. 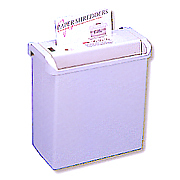 Lockable drawer to store 50pcs CDs w/jewel case. Designed to support monitors up to 17``, maximum weight of 30kgs. 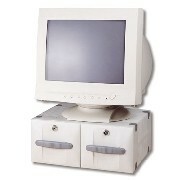 Adjusts the screen upward or downward and LCD monitor can be rotary. Firmly fix onto the wall. 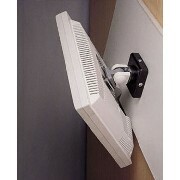 Meets VESA mounting standard (75mm*75mm or 100mm* 100mm). 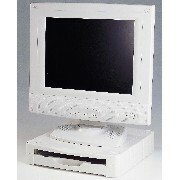 Holds LCD monitors up to 8 kgs(18lbs).